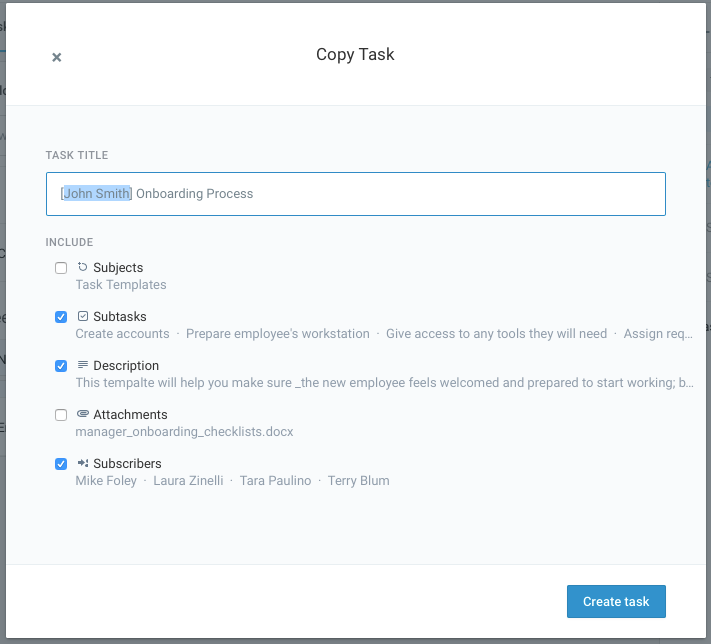 There are many situations were having task templates that you can copy when you need to perform a complex task can be useful. 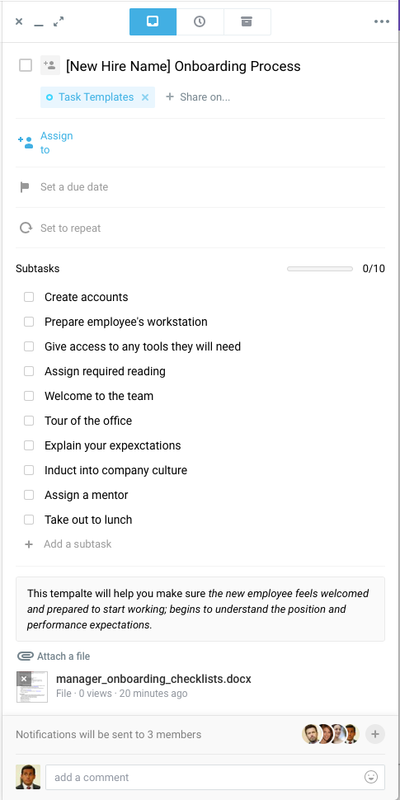 In such cases you and you team can set task templates that you can share and update in a Tasks Templates subject for example. Use a naming convention to make it easy locating the template, while also framing how to use it. e.g. 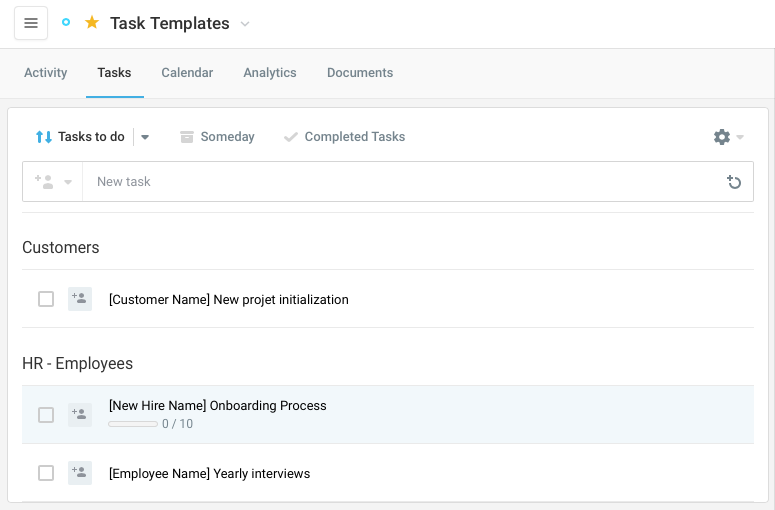 "[new hire name] Onboarding Process"
You can add multiple useful things to a template task like a due date, an assignee, subscribers, a description, an attachment, etc. You'll be able to select wether you'd like to keep them or not, individually. You can of course modify the copy or update the template if you'd like further copies to benefit from a new step. When you copy a task template uncheck Subjects so the task does not clutter the Task templates subject. Modify its label to reflect the employee name and once the task copy is created share it on the appropriate subject (HR for example). 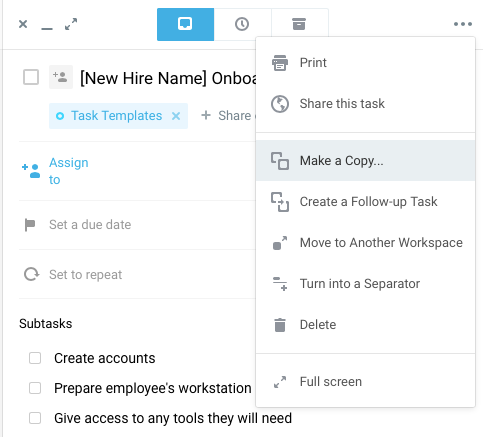 You can update subtasks to reflect the latest procedures, and even create different variations of a same task.